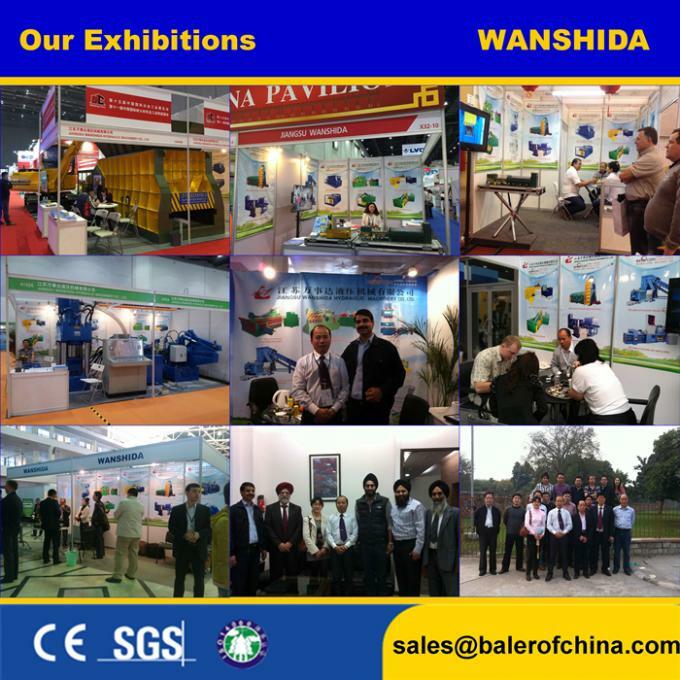 We are China Automatic Waste Cardboards Balers manufacturer-Wanshida Hydraulic Machinery. 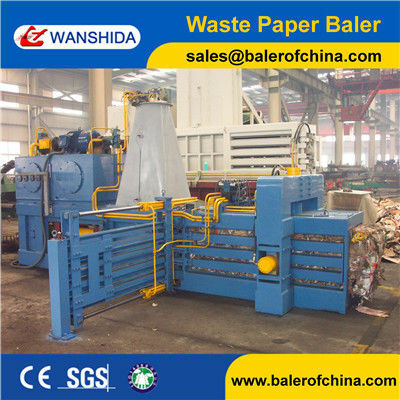 This Y82W-50A Automatic Waste Cardboards Balers are commonly applied in baling loose materials, such as scrap paper, waste carton, news paper, waste plastic, PET bottles, plastic film and recycle case, straws, etc. 1. Controlled by PLC system, this baler is equipped with the touch screen for window monitoring, error warning with synchronous indicator diagram, bale length setting and other operations. 2. The design of floating clamping device on the upper, left and right directions facilitates the automatic distribution of four sided pressure. 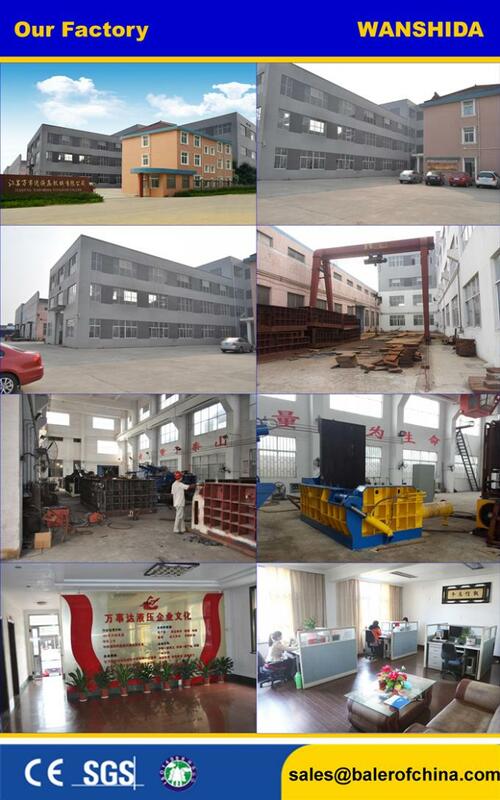 It makes the machine capable of baling a wide range of materials. 3. Equipped with 6m long conveyor belt, this automatic waste paper baler is able to load and feed materials automatically. 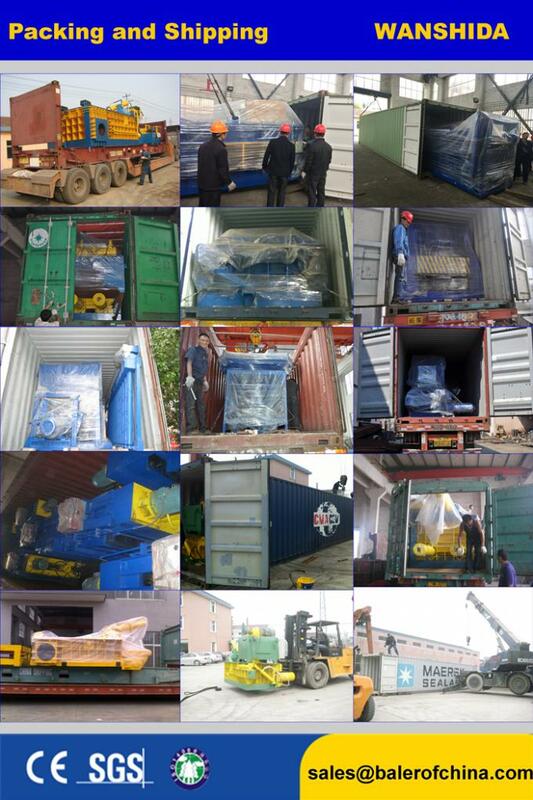 Moreover, it supports automatic binding performance, improving the baling speed. 4. The pushing cylinder and the bale ejector are connected reliably in spherical structure, prolonging the longevity of oil seal. 5. There are several shear blades distributed at the feeding inlet increasing the cutting efficiency. 6. Our automatic waste paper baler adopts the hydraulic circuit design with low noise to increase the working efficiency and decrease the failure rate. 7. It can be easily mounted without any foundation. 8. The specific dimensional design of the compress room and the bale is available as required.